Color Changing Fiber Optic Beautiful Butterfly Assorted fit in tea light candle holders, perfect for DIY crafts! To activate your LED Butterflies, flip the switch on the bottom. LEDs in the base shine up into the fiber optic-lined wings, which slowly morph from color to color. 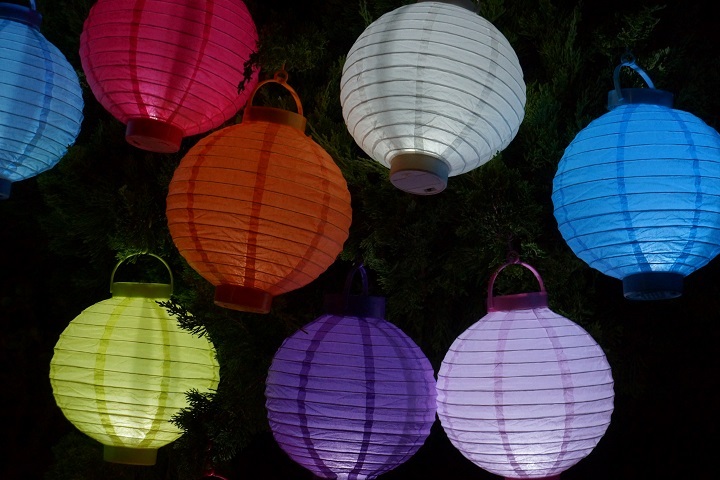 Flip switch again to power off – just one multicolor light function. Dimensions: Butterfly & Base Height: 3.50 in. Butterfly Width: 3.0 in. Base Height: 1.25 in. Base Width: 1.50 in. 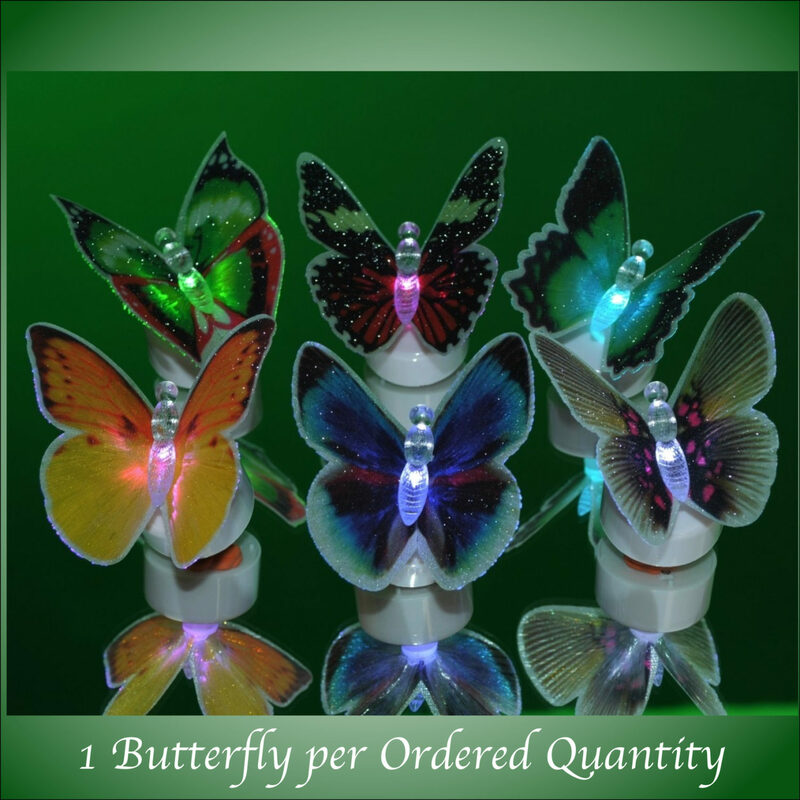 LED Colors: Red, Blue, Green Base Color: White Color Changing Fiber Optic Beautiful Butterflies include 3 replaceable AG13 Batteries.